The main entrance to the Mid-Continent Tower at 401 South Boston Avenue, Tulsa, Oklahoma. 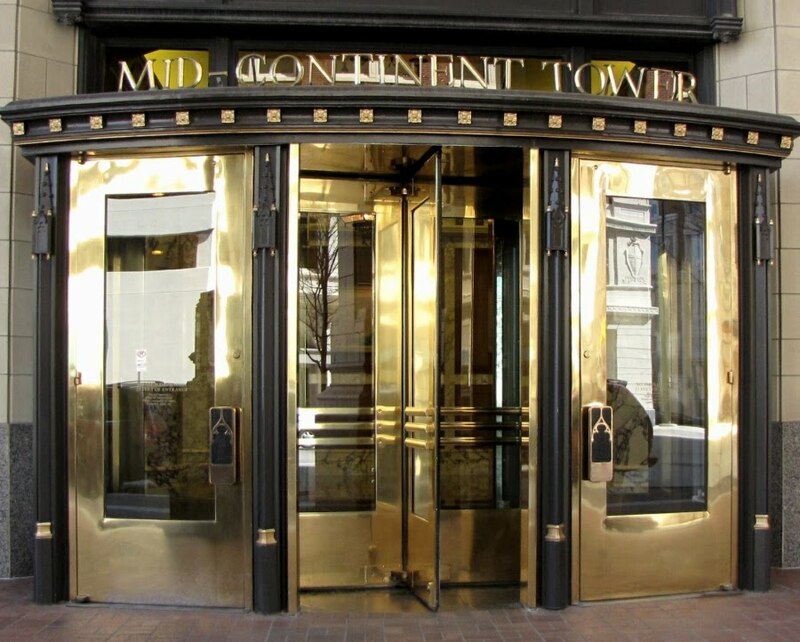 Built originally as the 16 story Cosden Building in 1918, in 1984 a new 20-story tower was cantilevered over it. The entire project was designed to resemble the style of the Cosden Building as closely as possible, giving the impression of a unified whole even though the two sections of the building were constructed 66 years apart. A shot down an alleyway full of fire escapes has an abstract look that I like. 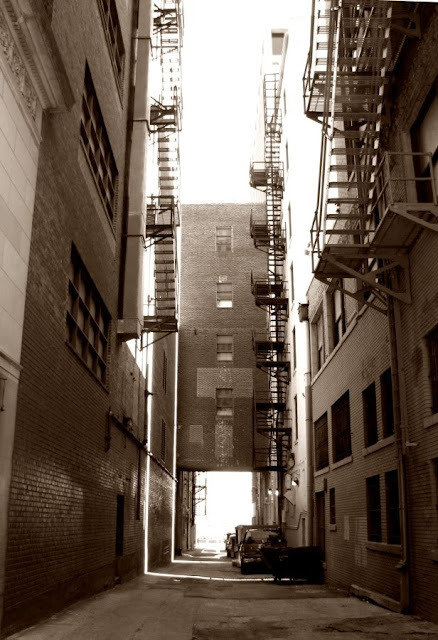 And in Tulsa even the alleys are clean and attractive. 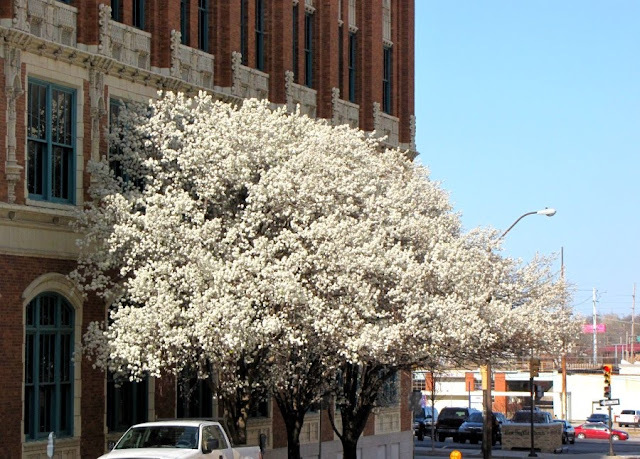 Tulsa's streets are dotted with ornamental trees, some of which are already in bloom. On Friday I spent the whole afternoon touring Tulsa's historic Art Deco buildings with Karen Smith of Karen's Tours. 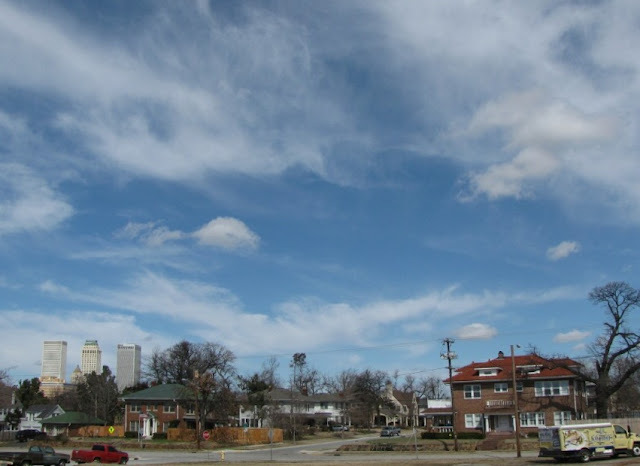 You may know that I do another blog on Historic Tulsa. Over the past year or so I have posted photographs and text on 100 of Tulsa's historic places. Modern Tulsa was created with the Land Run of 1889. 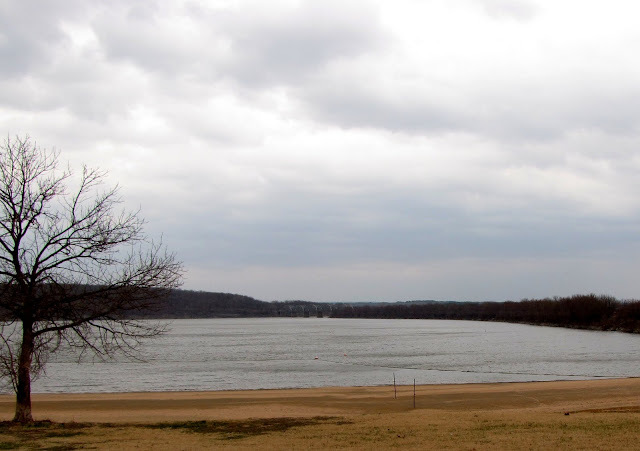 In 1905 oil was discovered in Glenpool, just south of Tulsa. In the years following, the oil industry grew very rapidly and with it came great wealth for the early oil men. These pioneers created the oil companies whose names are still familiar to us, Phillips, Sinclair, Skelly, Getty, Champlin, Marland, and many others. The wealth brought to these men was used to build elaborate office buildings and homes, each one seeking to outdo the others. Many of those buildings remain in Tulsa as handsome treasures. Some of the most interesting architecture is in the downtown office buildings built in the period between 1910 and the early 1930's. 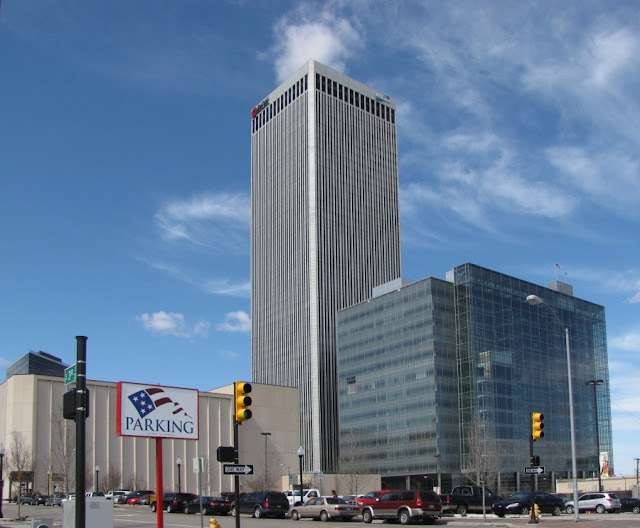 These great buildings are missing from Historic Tulsa. I have not featured them because I wanted to wait until I had the opportunity to photograph the inside as well as the exterior. In one long busy afternoon I was able to cover many of the more interesting buildings. I will start posting most of those to my Historic Tulsa blog. Some which stand on their own as interesting photographs I will post here. Stay tuned. 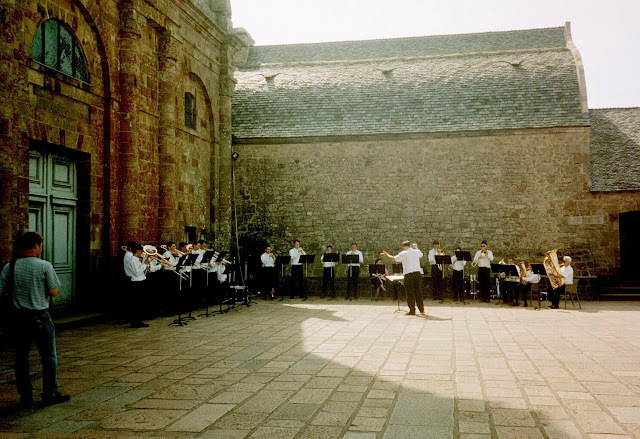 A Brass Band plays in the Abbey Courtyard on top of Mont Saint-Michel. 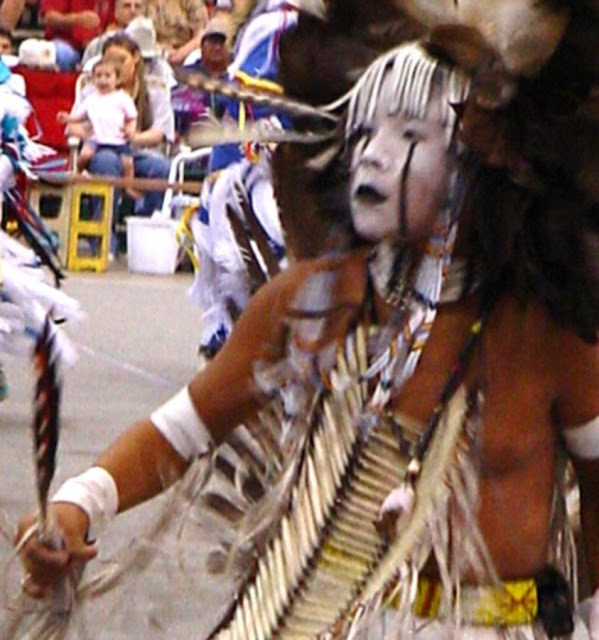 When I visited in June of 2000 there was a festival of being held with many families wearing the traditional clothing of their region. There was much celebration, even a fine brass band at the top, playing in the courtyard. We picked a good day to attend. 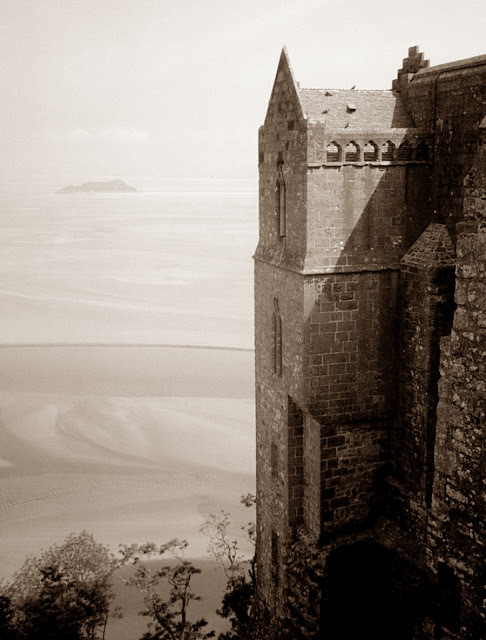 The view from the abbey atop Mont Saint-Michel is breath-taking. 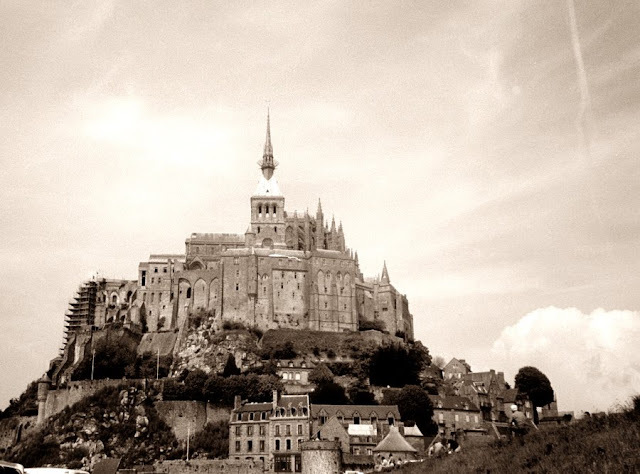 Mont Saint-Michel is a small island just off the coast of Normandy. 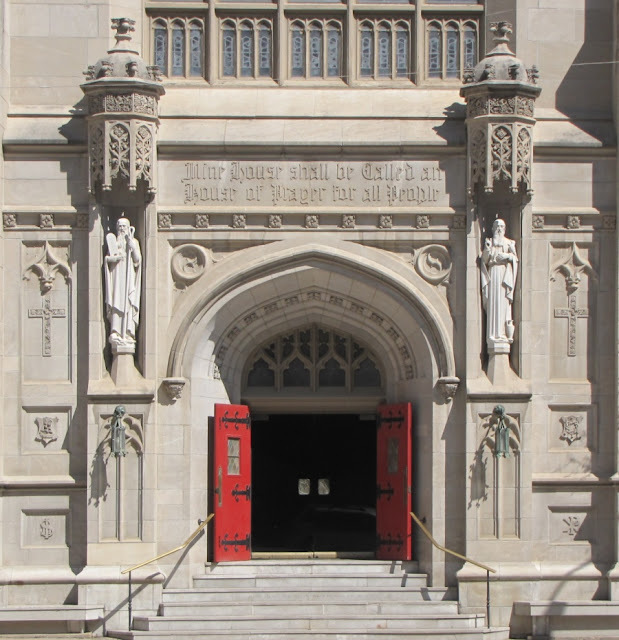 It has been a monastic establishment since the 8th century. The great abbey and church at the peak were constructed in the 11th and 12th centuries. The tides around the island can vary as much as 45 feet (14 meters) with the result that it is an island at high tide and is surrounded by salt flats at low tide. It is reached by a natural land bridge which was fortified into a true causeway in 1889. Tulsa's skyline can be seen from all directions. Here it is from the near Southeast. 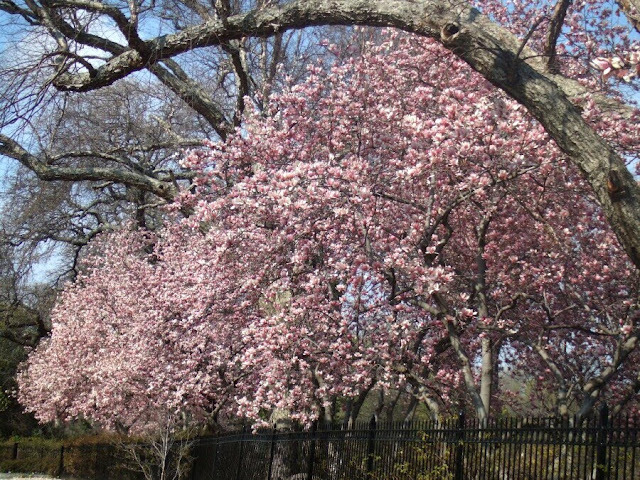 These lovely pink Tulip Trees are some of the earliest bloomers providing that they don't get bitten by a late freeze. 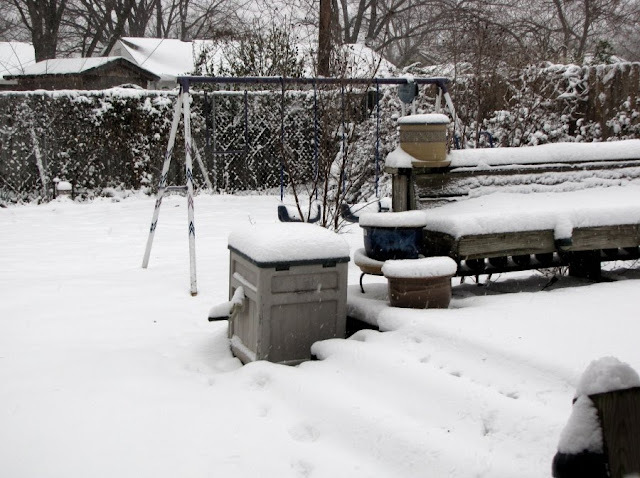 Although we had a blanket of snow last weekend the temperature did not drop much below freezing and no damage was done. These are just about perfect. and my outside thermometer reads 69*F (20.5*C). It seems that every year we suffer a late snow just as everything is bursting into bloom. 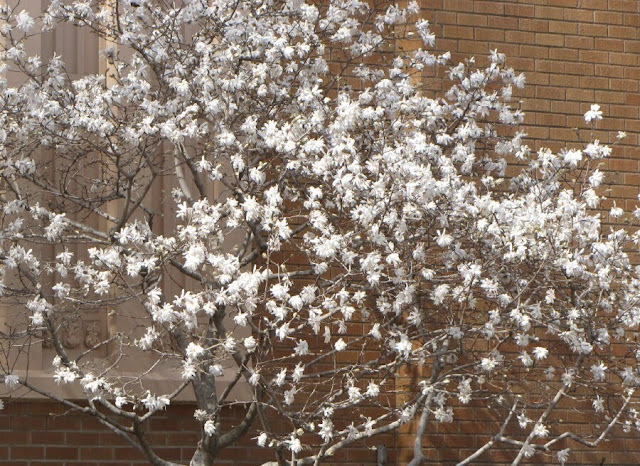 Here is a nice early blooming shrub. It is a type of Magnolia but I can't tell you what kind.. It lives at the church which hosts my noon meeting. 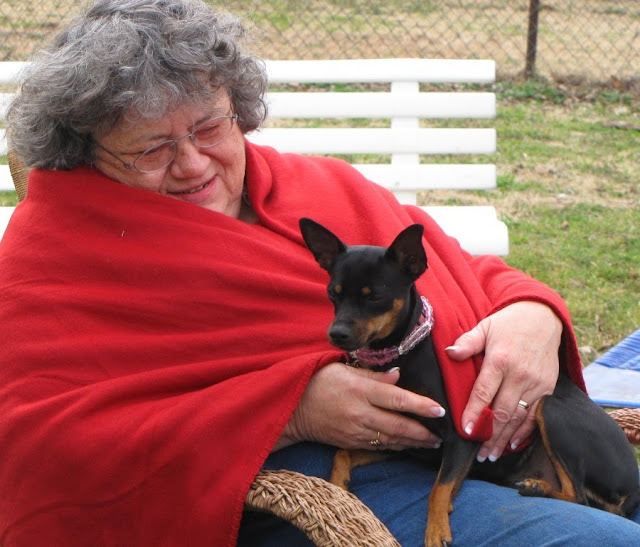 Last week Tulsa was enjoying lovely spring-like weather. 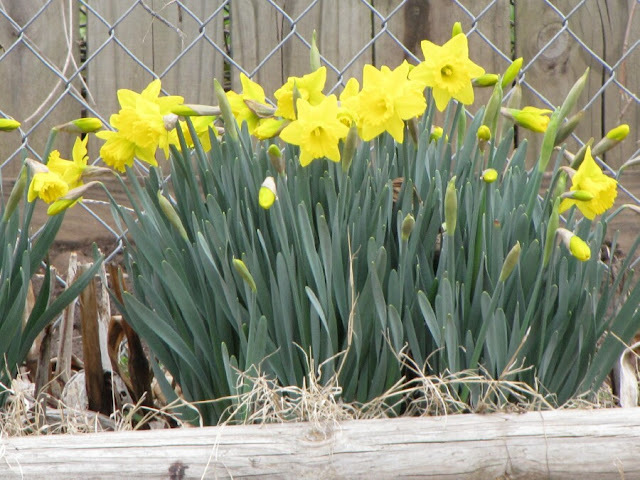 I shared a photo of my Daffodils and the yellow Forsythia was blooming. With the official advent of Spring, they are all buried under a thick layer of snow. Have I mentioned before that Oklahoma's weather is unpredictable? 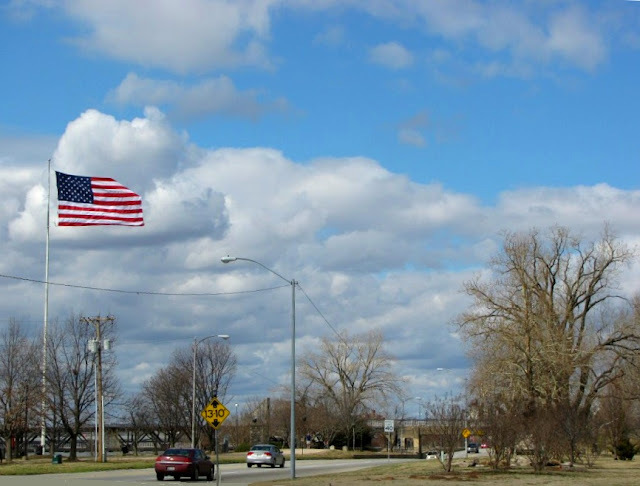 Now here it is Monday and the forecast is back to 60*F (16*C) and tomorrow will be 72*F (22*C). The birds at my bird feeders look very confused. 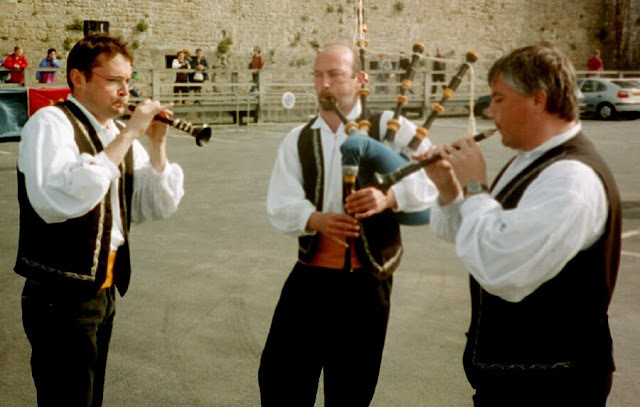 When I visited Mont Saint-Michel in June of 2000 there was a festival in progress with many families in traditional costume. These gentlemen were playing a lively tune for us. Our tour guide advised us that there were many restaurants through the village that wound up the road to the abbey. She said that the two specialties here were omelets and lamb. The well-flavored meat that results from the diet of the sheep in the area makes salt meadow lamb a local specialty. I walked up to the abbey and stopped at a small restaurant that served me the best omelette au fromage (cheese omelet) of my life. Later several of the younger girls in the group boasted that they had found a place that served Hamburgers! What a waste. 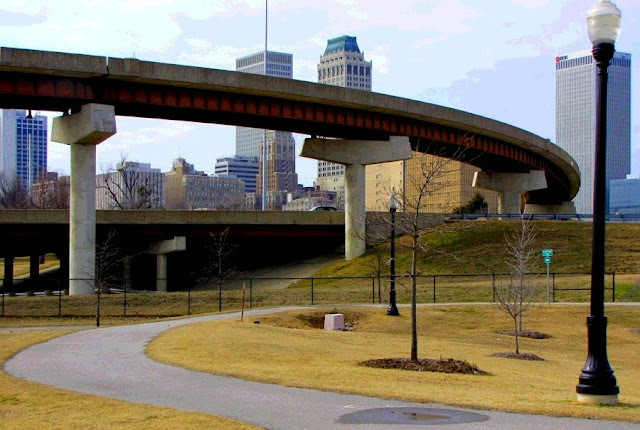 A view of the Tulsa Riverpark looking south from 31st Street to the Pedestrian Bridge over the Arkansas River. Recently repaved and lighted running and bicycle trails run the length of the east side of the river from 11th to 101st Streets. Tulsa Community College was founded in 1970 as Tulsa Junior College to serve Tulsa and the surrounding community. It is the largest two-year college in Oklahoma and serves approximately 30,000 students per semester in credit and continuing education classes. 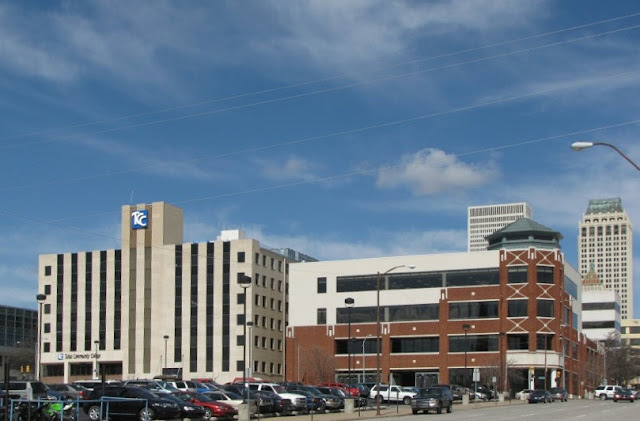 TCC consists of four campuses and a conference center situated throughout the Tulsa metropolitan area with an annual budget of approximately $84 million. The College employs about 2,712 people, including 275 full-time faculty and 843 adjunct faculty. For the sixth consecutive year, TCC is ranked in the top three percent of more than 1,150 community colleges nationally in the number of associate degrees awarded in all disciplines. The building on the left was originally the shop building for old Central High School, when it was in downtown Tulsa. 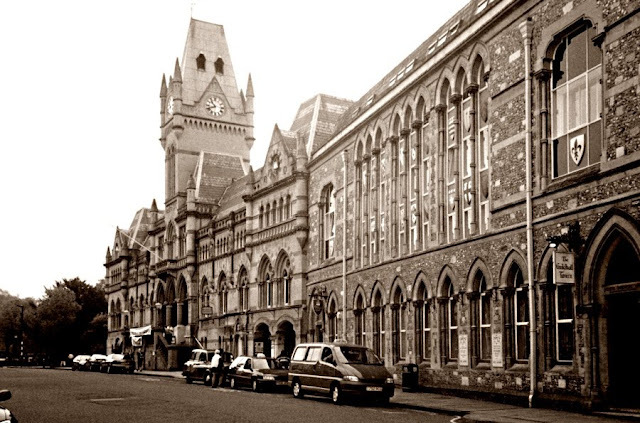 The building on the right was extensively remodeled and expanded in the late 1990s and is handsome inside and out. I have taken some language classes here (Spanish) and taught several corporate seminars for TCC after I retired in 1997. 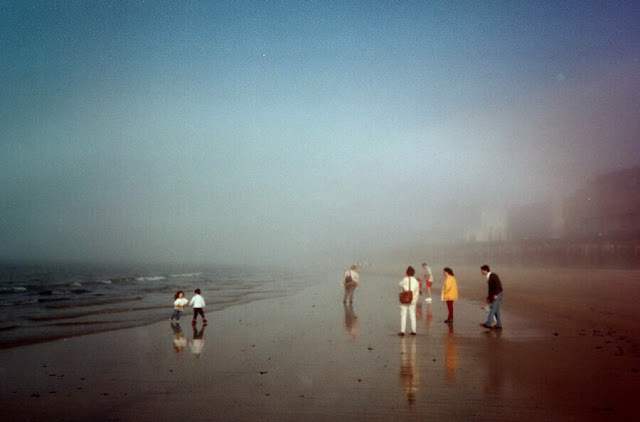 The best thing I did with TCC was to go on a school sponsored trip to England and France in 2000. Clueless in Boston posts a photo of interesting doors every Wednesday, a practice that I enjoy and admire. Beginning today I plan to post doors on Wednesday. Watch this spot. 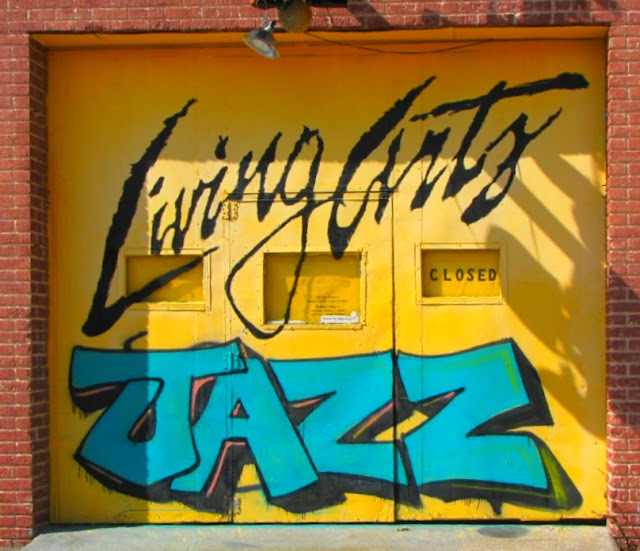 I like these doors because they are colorful and make an art piece themselves. Although it is rather too small to see in this photograph, the middle window contains the days and hours the gallery is open, the small white strip advises the reader to "Please Use Other Door". Gavin is the son of my foster son Mike and his wife Amber. That makes Gavin my foster grandson. 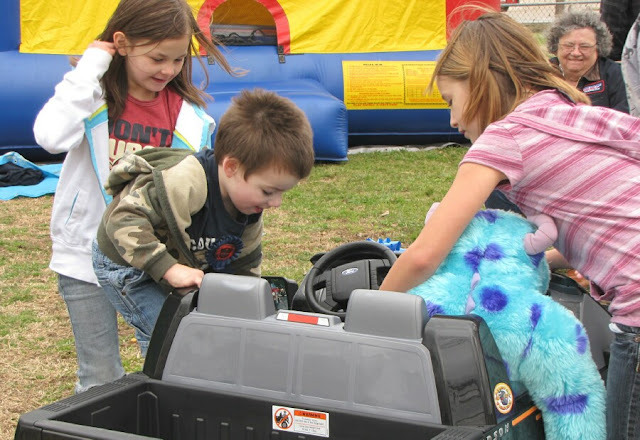 Gavin celebrated his 3rd birthday Saturday afternoon and it was quite a party. Most of Mike and Amber's family was there, parents, siblings, and lots of kids. There was a rented Jupiter Jump, a Pinata, Lots of food and a birthday cake. 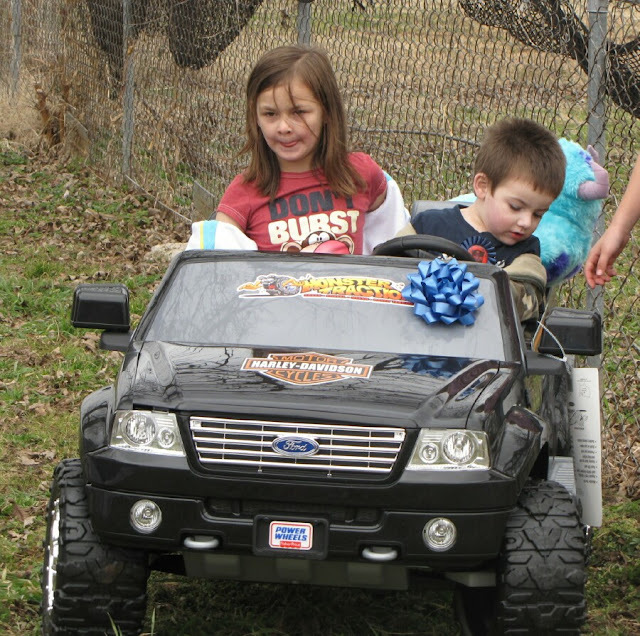 There were lots of presents but the biggie was a shiny black "Power Wheel" modeled after a Ford Pickup Truck. it was kept hidden until just the right moment when it was brought out and presented to Gavin. To say that he liked it would be a big understatement. It came with big blue Sully from Monsters Inc. as a copilot. 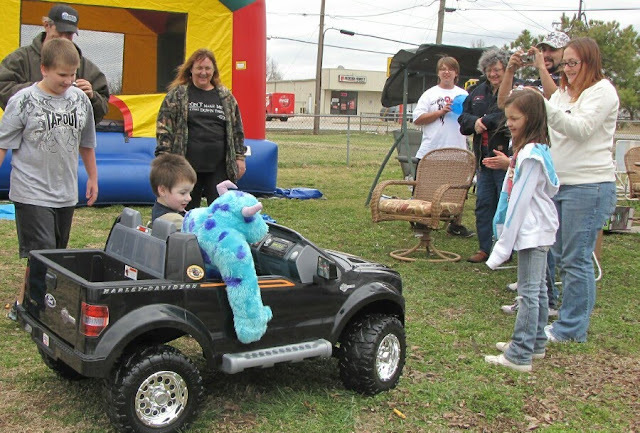 After a few low impact bumps he got the idea and was able to drive around the back yard with only a few mishaps. This was a BIG hit. Happy Birthday Gavin. Thanks Mike and Amber, this was a great party. The Walled city of St. Malo ln Brittany on the Northwest coast of France. 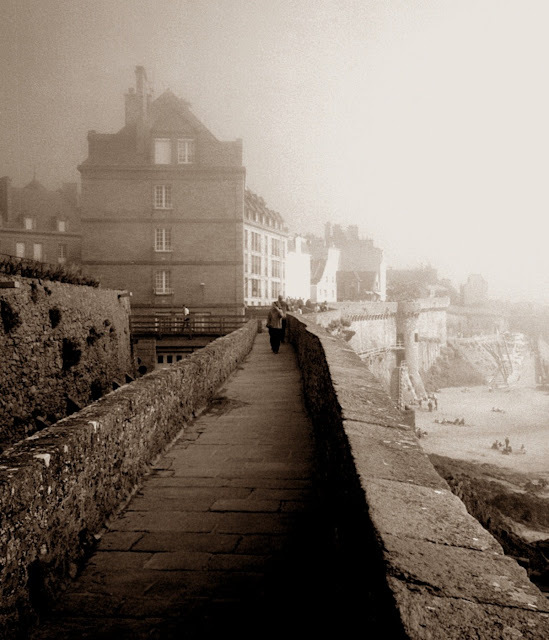 Saint-Malo has one of the highest concentration of sea food restaurants in Europe. It is famous for its local oysters from the nearby village of Cancale. What was a fort in the middle ages, St. Malo is now a popular tourist destination and is known as a desirable place to retire. 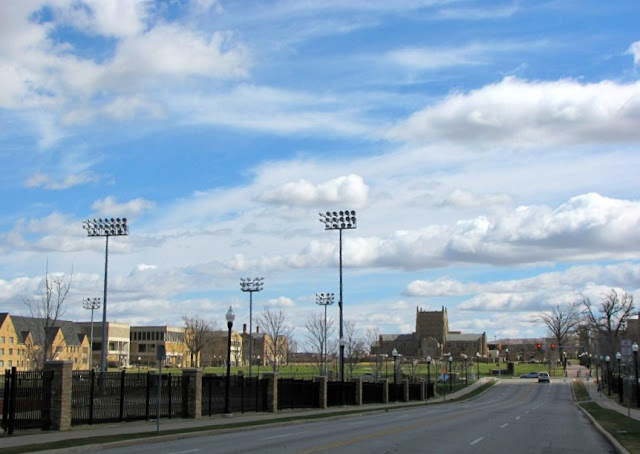 The University of Tulsa Campus Looking west on 6th Street. This post is participating in CityDailyPhoto Theme Day The Tenin Technique which is to place the camera at ground level or low or odd angle photographs. Here is the proof. Right in my own back yard. 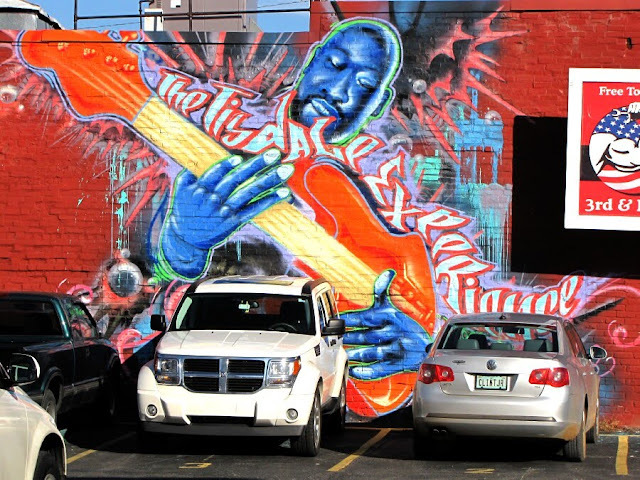 Downtown Tulsa Parking lot mural of the late great Wayman Tisdale, NBA basketball great, 1984 Olympian, Smooth Jazz Guitarist, Devoted Family Man, Devout Christian, and friend to many. Born June 9, 1964, died May 15, 2009 of complications due to Cancer. Other Monochrome Posts are HERE. 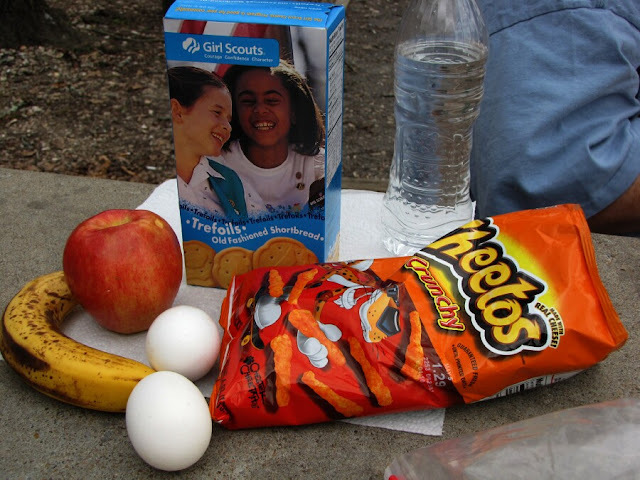 Susan packed this simple but satisfying picnic lunch when we drove over to visit the Illinois River near Tahlequah. 80 Pieces, rotating, click to enjoy. When I see a steady stream of people heading for a restaurant I'm guessing it is a good place to eat. 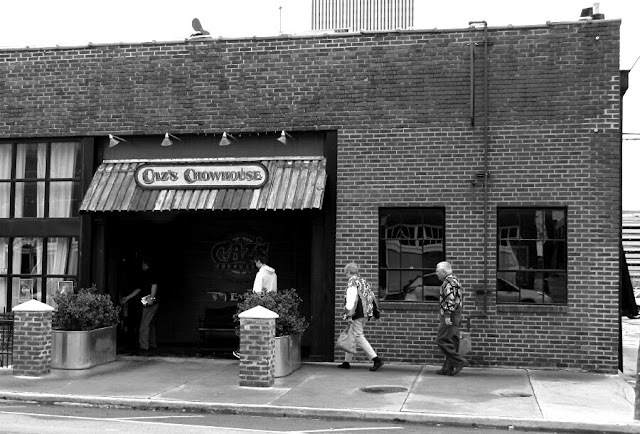 Caz's Chowhouse is one of a number of new eateries located in remodeled old storefronts in downtown Tulsa. They bill themselves as serving "upscale, down home cooking". Here is a house I have always admired. 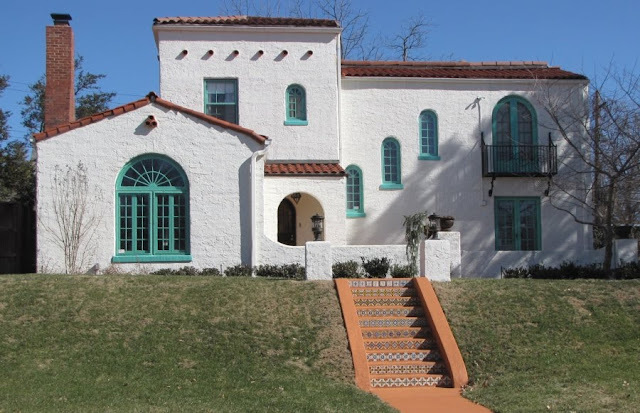 I like the white stucco, I like the flat upper section with the poles jutting out like an old adobe structure, and I like the little arched windows that step up the side. 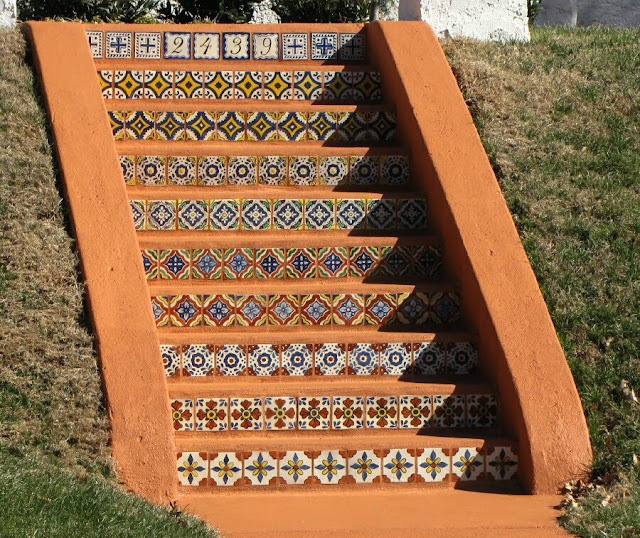 But most of all I like the steps faced with Mexican tile that lead up to the front walk. The top has worked in the house number. 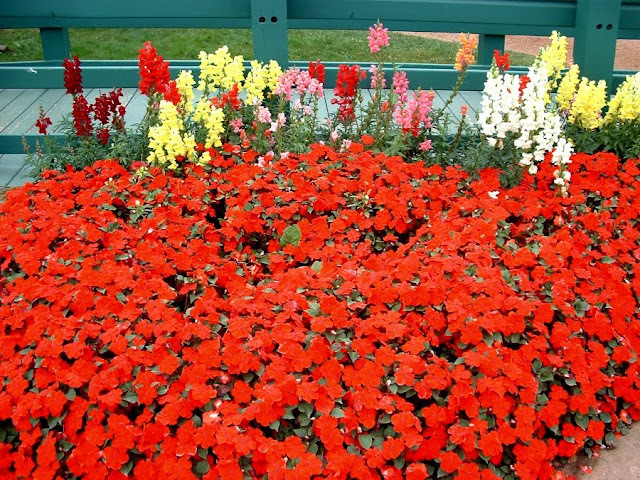 Each row is different, colorful but tasteful. The Inner Dispersal loop sweeps into Tulsa's downtown seen above this path curving through Central Park. There are some nice apartments here with grand views of downtown. Eric Clapton - Live in Tulsa! Saint Susan has treated us to tickets for the Eric Clapton concert tonight at the new BOK Center in Tulsa. Roger Daltry is the opener. 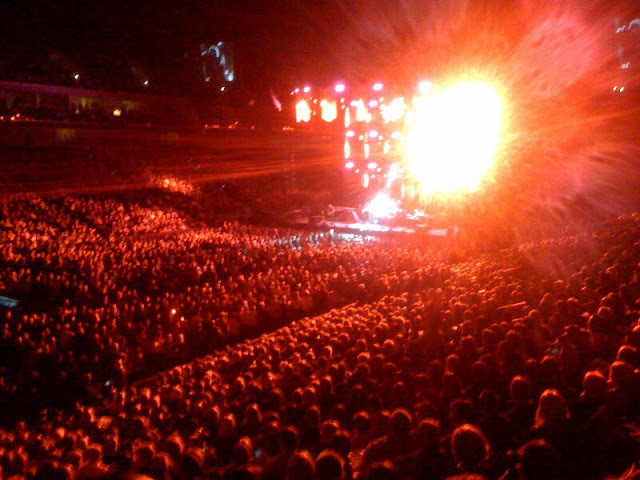 A big crowd and a hell of a show with great sound and a cool light show. Happy birthday to me. Posted on the spot from my iPhone. To tell the truth it is kind of hard to find a lot of red in the landscape this time of year. So I dug in my old photo box and found a lovely bed of Impatients and Snapdragons we found a few summers ago when we were up on Prince Edward Island. As a matter of fact we found the flowers on a trip to see the house from which Lucy Maud Montgomery drew the inspiration for her classic story "Anne of Green Gables".Saint Susan had to see it. The first day of each month City Daily Photo Blogs post according to a theme. The theme for today is passageways. 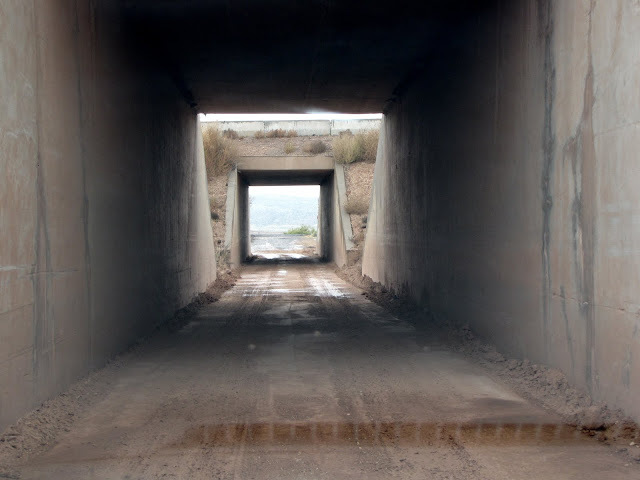 Click to see more Passageways.